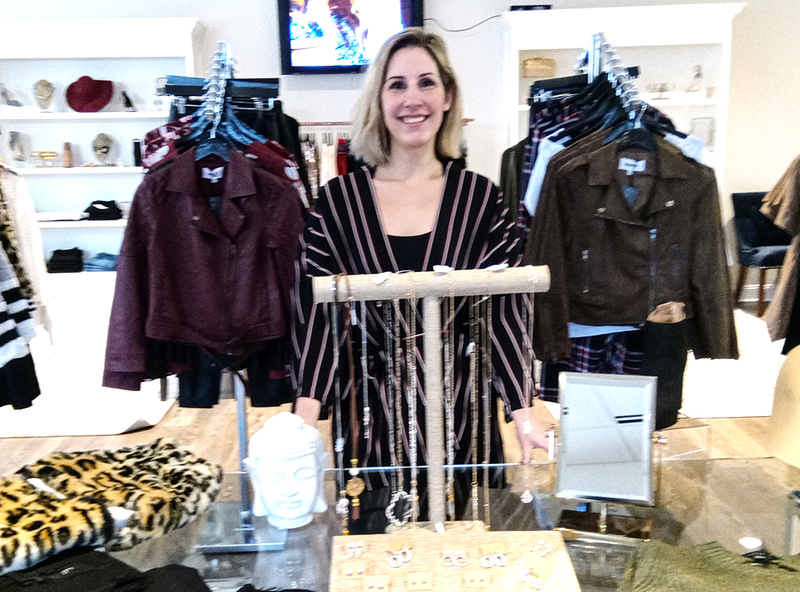 Efithia “Effie” Vasilakos recently opened Effie’s Boutique in Halfmoon. It sells formal gowns, dresses, shoes, purses, coats, that and accessories. The opening of Effie’s Boutique in Halfmoon was a dream come true for Montreal native Efithia “Effie” Vasilakos. The 32-year-old has loved fashion for as long as she can remember. As a child, she would walk into her mother’s walk-in closet to admire her stylish clothes. As she got older, she developed a passion for helping people put outfits together. “I enjoyed getting people to try things on that they wouldn’t normally wear,” she said. In Montreal, she owned a bookkeeping company and also worked in real estate. Her love of fashion continued. She kept up with trends by reading fashion magazines and visiting boutiques. She later married Halfmoon resident Jimmy Vasilakos. The couple settled in Halfmoon, where Jimmy and his brother, Teddy, operate the Halfmoon Diner. The diner was started 30 years ago by their father, Peter. It was her father-in-law who suggested that Effie’s Boutique be built on a parcel of land across from the diner. She decided to take his advice. Vasilakos designed the building herself with help from architects at Monarch Designs. The building was constructed in less than a year by Peachtree Builders. Effie’s Boutique is located at 1 Birchwood Drive in Halfmoon near the corner of Route 9 and Grooms Road. Her vision included the store’s round gown room, where customers can try on gowns and prom dresses. They range in price from $129 to $999. Effie’s Boutique carries 27 different brands, and new shipments arrive each week. Styles are not reordered after they are sold. “I don’t want everyone to have the same thing,” said Vasilakos. In addition to gowns and casual wear, the boutique sells cocktail dresses, shoes, purses, coats, hat and accessories. Vasilakos keeps up with the latest styles and regularly travels to shows and showrooms in New York City. She hand-picks every item in the store. Store hours are 10 a.m. to 7 p.m. Tuesday through Thursday; 10 a.m. to 8 p.m. on Friday; 10 a.m. to 7 p.m. on Saturday; and 9 a.m. to 5 p.m. on Sunday. More information is available online at effiesboutique.shop.